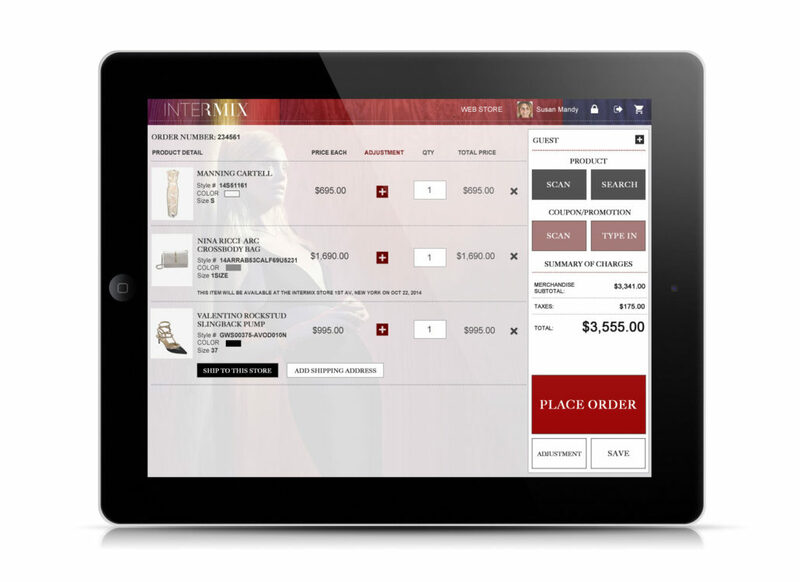 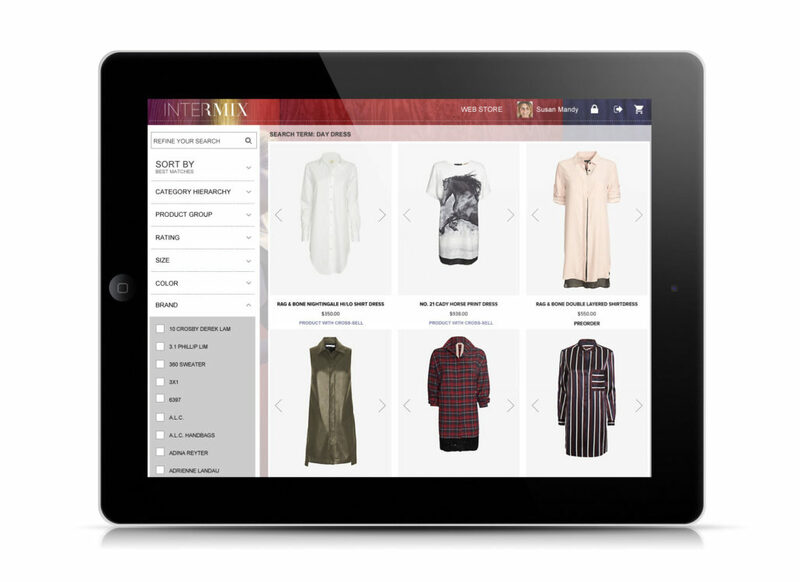 Intermix Instore Online Order App – Sandrine S.
MarketLive developed an app for its eCommerce customers to take their clients in stores to the next level. 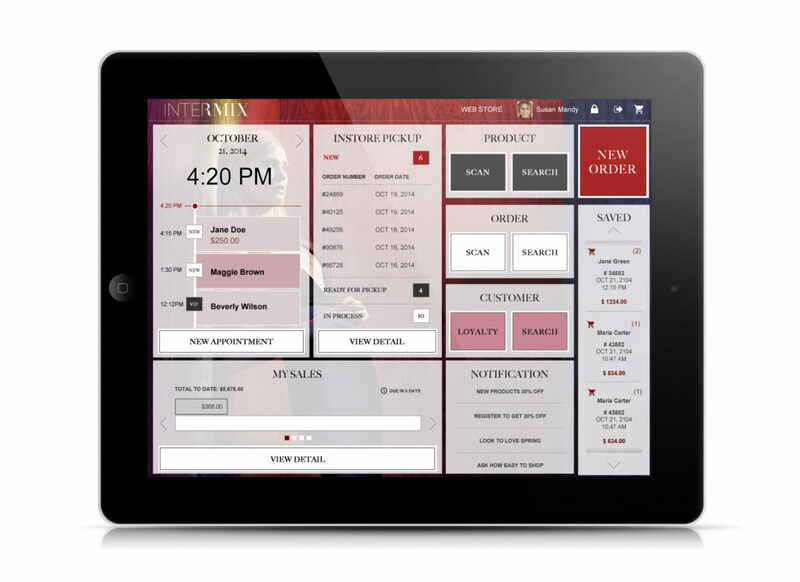 Designed the UI/UX of this app for the stores’ employees to connect with the clients even faster, helping them in their choices of products as well as ordering online “on the spot” if items aren’t in stock. 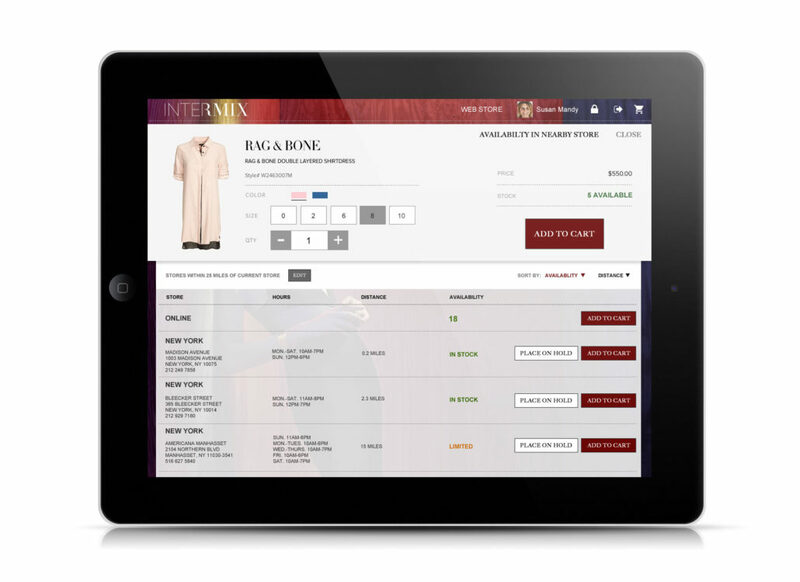 The App allows the employee to have access to the customer’s profile (or create one) and send emails/reminders, make suggestions for outfits and more.